If you live or work in the Overtown community in Miami and were injured in some type of accident, you should call the Overtown personal injury lawyers at the Wolfson Law Firm in Miami. Our Miami injury and accident attorneys have represented injured people from Overtown and throughout Miami since 1963 and we can help you too. Just call us at (305) 285-1115 for your free consultation. Our Overtown wrongful death lawyers have assisted families and loved ones who have lost a family member in a fatal accident. We pride ourselves in our service to the community by providing free information and advice to our personal injury clients and the general public about what to do after an Overtown accident. Our Miami personal injury lawyers let people know what they can expect after a severe or tragic accident. 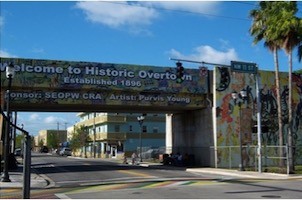 Overtown was designated as a “colored” neighborhood after the creation and incorporation of Miami in 1896. It was incorporated under the insistence of railroad tycoon Henry Flagler, when his mostly black American railroad construction workers settled near what would be Downtown Miami. It is the second oldest neighborhood just after Coconut Grove. Overtown was a thriving center of commerce during its early years, hosting such places like the Lyric Theater which was completed in 1913. During the Florida land boom of the 1920s, Overtown was the home of one of the first black millionaires D. A. Dorsey, the owner of Fisher Island. It was home to the first high school educating black students south of Palm Beach, as well as the center point of Community Organizing and mobilization during this era. That lead to the creation of Liberty Square, in what would later be called “Liberty City.” By the 1940s prominent areas like Northwest Second Avenue and surrounding neighborhoods hosted hundreds of mostly black owned businesses, from libraries, social organizations, hospitals, and even night clubs. Speaking of nightclubs, Overtown was a center of night entertainment in Miami. At its height Overtown was comparable to Miami Beach itself, and it hosted many mainstream black entertainers like Count Basie, Ella Fitzgerald, Cab Calloway, Josephine Baker, Billie Holiday, and Nat King Cole. Unfortunately, just as the 1950s came to close, Overtown suffered serious economic decline. Things like the construction of many interstate highways (such as I-95) and various urban renewal programs, fragmented the once thriving community, cutting its population size from 50,000 to 10,000 turning this prosperous area into a “ghetto” with many businesses closing and activity stagnating in the neighborhood. During the 1990s and 2000s, the neighborhood has steadily improved with the renovations of the historic Lyric Theater along with revitalization and gentrification efforts supported by both the city of Miami and Miami-Dade County. In the current year, David Beckham has secured land in the neighborhood for a Major League Soccer expansion franchise in Miami. Its current population is estimated to be at 10,029. 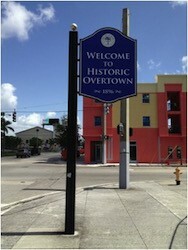 Overtown still hosts many historic sites, such as Dana Albert Dorsey House, Lyric Theater, Greater Bethel African Methodist Episcopal Church, Mt. Zion Baptist Church, and St. John’s Baptist Church. Our injury attorneys in Miami help folks hurt in all types of accident cases. If you, a friend or a loved one were hurt because of the intentional act or negligence of someone or a company, you should consult a Miami personal injury lawyer. You should never be a silent victim. Search out and find the answers you need to determine if there some person or corporation that may be responsible for your medical expenses, lost wages, rehabilitation bills, pain, losses and suffering. You owe that to your family and yourself. If you have lost a loved one who was killed in any type of accident or incident, the Miami wrongful death attorneys at the Wolfson Law Firm can help you. Our Overtown personal injury attorneys can help you if you were injured because of the negligence or intentional actions of another person. We never charge any fees unless we make a recovery for you. Just contact us at (305) 285-1115 for your free and confidential consultation. Make sure you and your family get the justice you deserve. Call us now and we can get to work for you.